Live all the championships from nearby. Enjoy the advantages and privileges of being part of the biggest motorsport community in Navarre. Everyone has its space in this community that grows day after day, thanks to our passion and enthusiasm. These are some of the benefits you will have by becoming a member of the Navarra Circuit. 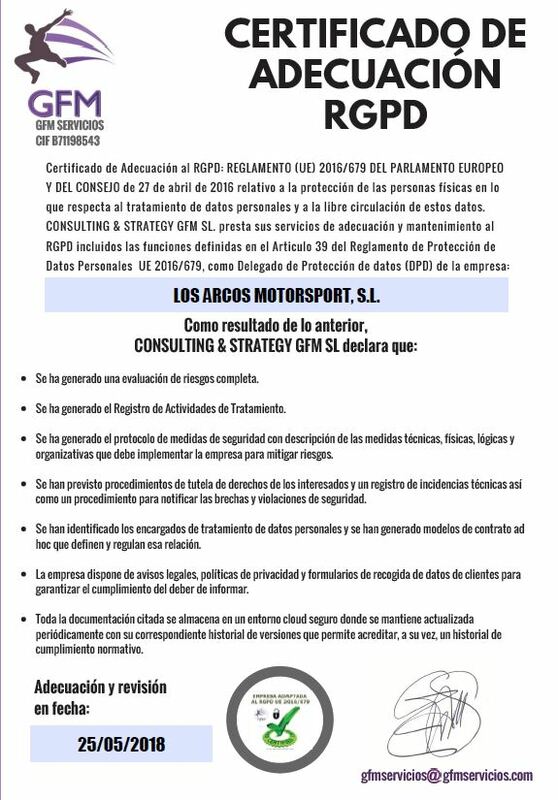 Being a Company Member of the Circuit of Navarra has a cost of 2500 euros. It offers you the greatest variety of advantages and benefits, both of visibility and promotion of your company, as incentives for your customers. In addition to having discounts on the products and activities of the Circuit de Navarra, you can shoot at the Speed Circuit and the Karting Track at unbeatable prices. You will enjoy free access to races, discounts in merchandising, karting and driving school … It is an ideal way to experience the Circuit of Navarre: taking advantage of its advantages and living the motor experience in first person. TICKET DRAWING FOR MOTO GP AND FORMULA 1 RACES IN CATALUÑA.